Capital News Service photo by Nate Kresh. 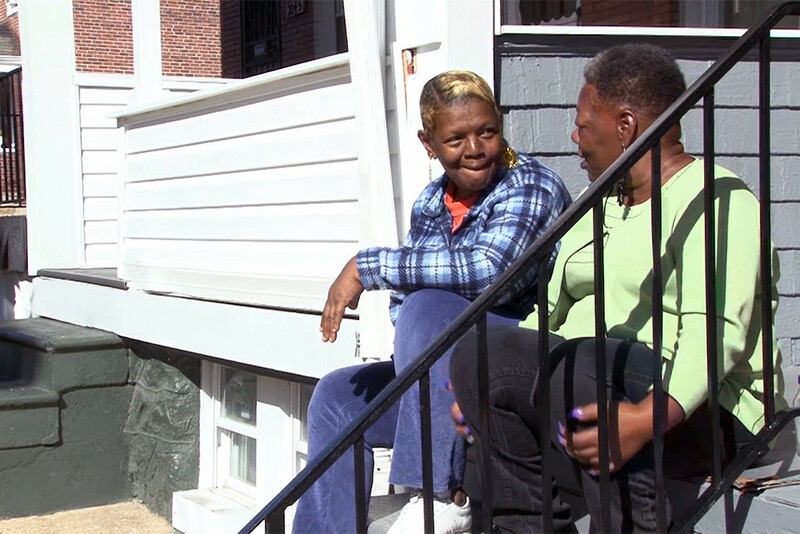 Darlene Parker, left, sits on her N. Bentalou Street steps talking with her neighbor, Sharlene Adams. Capital News Service photo by Nate Kresh. This is Part 4 in a five-part series from the project “In Poor Health” produced by Capital News Service and Kaiser Health News. It explores why Baltimore’s world-renowned health system is struggling to keep Freddie Gray’s neighbors — some of the city’s poorest residents — from getting sick. Darlene Parker woke up disoriented in the hospital bed with no recollection of how she got there — but at last with a diagnosis. For decades, Parker suffered from countless spells that sent her to emergency rooms at least twice a year. But she says she always left without a doctor giving her a valid diagnosis. Then, about two years ago, at St. Agnes Hospital in West Baltimore, the doctors told her she had a seizure disorder that medication could keep in check. Parker, a former drug user, clean for 30 years, believes her past drug use — and doctors’ refusal to hear anything beyond that — was the main roadblock to an accurate diagnosis. Black, poor and a former drug user, Darlene Parker fits into a category of patients whom Dr. Lisa Cooper, vice president of health care equity for Johns Hopkins Medicine, has focused her research on. Cooper in 2007 was awarded a MacArthur Foundation “genius” grant for studies of how race, ethnicity and gender can affect doctors’ relationships with their patients. Her research looks at how the biases of medical staff and the policies of their institutions can adversely affect the treatment their patients receive. Cooper’s research offers some insight into why Parker feels so dissatisfied with her health care. Parker says she sometimes feels judged before her doctors even get the chance to know her. Her admission that she previously used drugs — although she’d stopped decades ago, she says — got in the way of a correct diagnosis. Parker lives off of W. North Avenue in West Baltimore. It’s a neighborhood with some of the city’s highest rates of diabetes and heart disease, according to the Baltimore City Health Department. And on Parker’s block, neighbors who have struggled with their health say they distrust the big institutions that dominate the system. “Once they find out you were addicted to drugs, they treat you like s–,” her next-door neighbor, Sharlene Adams, says. Parker spends sunny days sitting on the concrete steps of her front porch chatting with neighbors like Adams. But at night, she says, she feels safer indoors than on the streets, not too far from where Freddie Gray suffered a fatal spine injury last April while in police custody. She is the first to admit that health has not always been her priority, but she says her past mistakes have taught her to be careful to keep up with her medical exams. Parker says she now understands she’s responsible for her health. 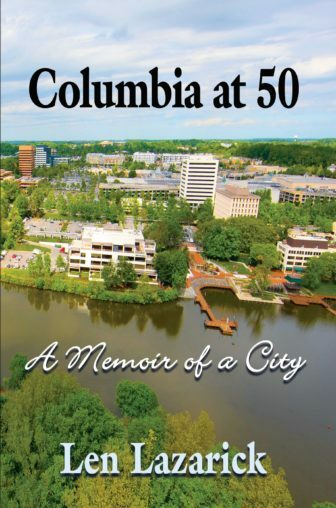 But, at 60 years old, she has a lifetime of bad experiences that have left her wary of the health care system. Doctors, she says, still question her on past drug use — and that has made it hard for her to trust them. On top of that, the treatment she received for a seizure about two years ago — which sent her to Bon Secours Hospital, the West Baltimore community hospital nearest her home — only magnified her suspicions. Parker says she remembers nothing of her stay. But she says doctors told her children she might never recover. Parker’s family moved her to St. Agnes Hospital. Parker says she woke up with slurred speech, but otherwise functioning fully. And there, she says, she received a true diagnosis. She says she won’t be going back to Bon Secours. For two years, she says, her seizures have been held at bay because she’s careful to take her prescribed medications every day. Now, Parker says, she meticulously prepares for all of her medical appointments, arming herself with questions and setting guidelines that will determine whether she will be willing to trust the doctor or nurse she’s seeing. She has learned that speaking up is the only way to leave a doctor’s appointment satisfied. She approaches her doctor’s appointments on the offensive. She watches to make sure the doctor is taking the time to get to know about her. “When I go to the doctor, the first thing I’m going to expect for him to do is put my name in that computer and pull my history,” Parker says. After her hospitalization at St. Agnes, Parker says she finally had a good relationship with a doctor. She felt her doctor took the time to understand her problems and, more importantly, he took the time to explain medical terms in ways she could easily understand. But, once her doctor left St. Agnes, Parker had to search for a doctor she felt comfortable with all over again. For the past year, she has gone to the Total Health Care clinic in her neighborhood for routine checkups. There, she says, the care is inconsistent. The regular turnover of clinic employees, Parker says, makes it hard for her to establish a strong connection with a new doctor. And because so many patients show up every day, Parker says staff has limited time to spend with each one. It’s difficult for her to get all her questions answered. She wants to find a new doctor. If she is being prescribed multiple medications, she wants to know why she is getting them and the potential side effects. “If all the doctor tries to do is just re-prescribe my medications without taking the time to really address the issues that I am suffering with right now, I’ll ask for a different doctor,” Parker says. Parker seems to be describing the problems that Cooper at Hopkins is working on. At Hopkins, Cooper hopes to create a model so patients like Parker can always feel connected to their health care providers. She says some hospitals already offer cultural competency training, but staff and providers are not being educated consistently across the country. Cooper has worked with the Association of American Medical Colleges to create better tools for students and those already in the medical field to have a better understanding of the biases they may have toward patients. The AAMC has also uploaded materials and studies on health equity that are now available as teaching tools on their website. These resources have been created to help health care professionals understand how to keep care consistent and to remain more mindful when working with patients like Darlene Parker.